For the general population, it was the ninth annual OTBN, but here at my house it was just the second year we’d joined in the fun. OTBN is a sort of unofficial wine holiday, brilliantly dreamed up by the wine writers from the Wall Street Journal who grew tired of answering reader questions the likes of “When should I open that 1985 Petrus Pomerol I’ve had for 20 years?” While there are many ways to answer a question like that, some delving into the year’s qualities, the wine’s style, how the wine was stored, philosophical discussion of wine appreciation….often the very best answer is simply just ‘open the bottle, enjoy it.’ So to help those in need of an excuse to open exquisite, old or otherwise special wines, Dorothy J Gaiter and John Brecher created Open That Bottle Night, celebrated on the last Saturday of February. As I mentioned in my enewsletter last year, I called upon 10 friends “who eat and drink well with others” to help us celebrate OTBN. Perhaps no surprise, but the same 10 from last year were eager to relive the experience this year. Here’s what we drank. And ate. For me, this is a blissful opportunity to cook my brains out, stretch my culinary-school muscles and have a ball in the kitchen. 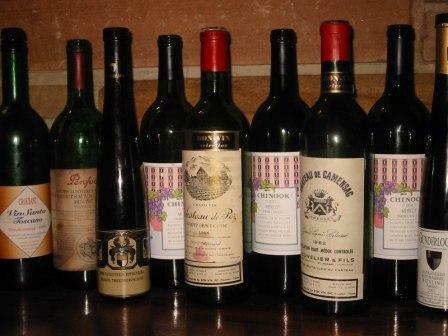 Here you can read the forum at WSJ where readers are sharing stories about the wines they poured. I hope might consider celebrating OTBN yourself next year. It’s by all means NOT about the fanciest, most noteworthy wines. Anything that means something to you that you’ve been holding on to for a special occasion. Life is a special occasion and meaningful wines are meant to be enjoyed. Cheers!